How do you put together a capsule wardrobe? Do you need capsule wardrobe examples and a checklist? Does the idea of a capsule wardrobe make you cringe? The thought of limiting your clothing options scare you? Does the idea of throwing out any of your clothes make you want to run to the mall? Perhaps the thought of tidying up like Marie Kondo freaks you out? Is a Capsule Wardrobe for You? Many believe that a capsule wardrobe diminishes your style creativity and limits your choices. As someone who loves fashion and having an endless array of options, I never in a million years thought I would even consider the idea of a capsule wardrobe. However, what I found out may surprise you! A capsule wardrobe is a minimalistic collection of essential clothing, jewelry, accessories, and shoes that can be mixed and matched no matter the occasion. It consists of your FAVORITE clothing that you wear every day and not necessarily the trendiest, most stylish, or perfect items. A capsule wardrobe is a mini wardrobe of versatile pieces that you truly LOVE to wear. A capsule wardrobe, typically, includes a total 30-40 items of clothing that are worn over a season or a few months period of time. It is recommended that no more than four different capsule wardrobes are created per year (one per season). The number of capsule wardrobes depends on your lifestyle and the climate where you live. Minimalist living is a trending topic in many different fields from fashion to home décor. The TV show Tiny House Hunters on HGTV, follows couples and families who attempt to downsize to homes that are only a fraction of the size they currently own. They are forced to extremely cut down their personal belongings in hopes of living a minimal, less materialistic lifestyle that is free of stuff. A capsule wardrobe is a similar approach, where the current items in your closet are severely cut down to only the pieces of clothing that you truly need. Every piece is something current that you love and feel confident wearing. You tend to wear your favorites pieces over and over again, so why not eliminate the ones you rarely wear? In fact, some of the most successful people admit to wearing the same things over and over again. Steve Jobs was a great example. The billionaire, co-founder of Apple, was always seen in a black turtleneck, Levi’s jeans, and new balance tennis shoes. Another person is Mark Zuckerberg, founder of Facebook. He wears a gray t-shirt every day. What do they both have in common? They were and are both extremely successful people, running extremely profitable companies, and making hundreds of critical decisions every single day. By wearing the same “uniform” each day, they had more time to focus their attention on important things, rather than wasting it on deciding what to wear each morning. Less can be more. Minimalism is important, not just in fashion, but in life. You can reach your goals much more easily with less standing in front of you (physically and mentally). If that’s not reason enough, here are some other ways you could benefit from dressing with less. Would you like to feel less stressed each morning when it comes time to choose your outfit? Is choosing your daily outfits mentally exhausting? Do you have a closet full of clothes but always wear the same things on repeat? Do you ever go to your closet and feel like there is nothing to wear, even though it is overflowing with clothing? Are you overwhelmed with the number of clothes you’ve accumulated and sometimes find items that you forgot you had or never wore? Do you rarely feel excited about what’s hanging in your closet? Do you often waste time standing in front of your closet, when you could be doing more productive things? Are you running out of space to store all of your clothes? Do you want to feel more in control of your decisions? Would you like to have more money in the bank by spending smarter? Does the idea of dressing minimally and simplifying your existing wardrobe interest you? If you answered yes to these questions, a capsule wardrobe may be the best solution for you. These are just a few ideas to help you begin brainstorming. Make a list of the top reasons why minimizing your closet could help you and your lifestyle. Why do you want a capsule wardrobe? What kind of lifestyle are you hoping to create? A capsule wardrobe makes getting dressed easy. Instead of spending 10 minutes standing in front of the closet with nothing to wear, it becomes a quick 10-second decision. You will feel less overwhelmed and have more time to spend on productive daily tasks. A capsule wardrobe also limits how much and what you can buy. By limiting what’s in your closet, you have more space and truly love wearing every single item. Say goodbye to closet chaos once and for all with a capsule wardrobe. Here’s how you can create your own in a few simple steps. See everything: take all of your clothes, jewelry, shoes, etc. out of your closet and spread it out on your bed or on the floor. Look at what you have. What do you love? What was your best investment? What do you never wear? What do you wish you never bought? Sort everything: create piles of what you will you keep, donate, and throw away. Immediately get rid of everything you don’t want, doesn’t fit or isn’t practical. Once you’ve cleared out everything you don’t need, it is time to evaluate what is left over. Decide what your base clothing pieces are going to be. Staple pieces include classic, not trendy, pants, tops, jackets, shoes, jewelry, etc. that go with everything and remain in style. You do not need to count underwear, sleepwear, or workout wear into your limited slots (unless half of your days are spent wearing yoga pants). This is the most important step of creating your capsule wardrobe because every outfit will be built upon these items. When choosing your staple items, stick within a neutral color palette of black, navy, tan, brown, gray, and white. Neutrals pair easily together and with other colors. Having many neutral colored items allows you to create more potential outfit combinations. Denim is also a neutral, so be sure to consider that when picking out your color scheme. Since a capsule wardrobe is limited to 30-40 items, use the rule of 3 as a general guideline to help you easily narrow down your basic choices. The rule of 3 refers to only having three staples within each category of clothing. Here are some capsule wardrobe examples to get you started. This list is based off an everyday, causal wardrobe rather than for work or a particular hobby. Your capsule wardrobe may have to be adjusted based on your individual requirements and daily activities. Any of these suggestions can be substituted for other clothing items that better match your lifestyle. One wardrobe will not be a perfect fit for every single person, but this method allows you to tailor it to your needs. Once you’ve selected 3 items for each of the 6 basic clothing categories, you’re already at 24 out of the 30-40 maximum pieces you’re allotted. With the leftover slots, add in a few seasonal pieces of clothing. These pieces will be swapped out at the end of each season for new seasonal items, while the staple items above will remain mostly the same. Here are a few examples of seasonal clothing items. For spring capsule wardrobe, add a floral print top, a lace dress, and pastel colors. For summer capsule wardrobe, add a few pairs of shorts, a romper/jumpsuit, and sandals. For fall capsule wardrobe, add booties, vests, and long-sleeved tees. For winter capsule wardrobe, add a cozy cardigan, fleece-lined leggings, and tall boots. Also, use seasonal pieces as an opportunity to mix in different colors, prints, and current fashion trends that complement your staple pieces to create maximum outfit options. How useful is the item in my lifestyle? Does it fit me well? How easily do they pair with other items to form outfits? Do I see myself wearing it? Can I style it several ways? Have I worn it a lot in the past? Is the item appropriate for the season/weather? Is it made of good enough quality to last many wears? If it doesn’t answer these questions, it’s a no and should not go into your capsule wardrobe. If you’re not 100% sure you will wear it, you probably won’t. Be selective and try not to waste any of the limited number of items you’re allotted. Use Pinterest to help you create outfit ideas and find inspiration for what to add into your capsule wardrobe. If you have a denim skirt, look up some different ways to style it and see what you can use within your capsule. Print off inspiration or use an app to create outfit ideas to make getting dressed with what you have even simpler. Creating a full 30-40 piece wardrobe perfect for the upcoming season is only half of the battle. The hard part is, now you have to stick with your choices and try not to break from your capsule wardrobe. It can be challenging to stick with the rules, but if you selected great pieces, it shouldn’t be difficult to choose outfits you love. Here are some ways to eliminate the temptation of other non-capsule items around you. Go on a shopping hiatus. Don’t buy anything new and don’t set foot in the mall if it will be too tempting. Living with what you have will teach you what you need. You’ll shop with purpose in the future and save money in the present. Create a budget for shopping and stick to it! Use the phrase out of sight, out of mind, as a rule of thumb. Whatever doesn’t make it into your capsule wardrobe does not have to be immediately thrown away, if you still like it. Instead, box up the excess items and hide them out of your sight for at least 3 months or until the end of the first season. Being without them for a long period of time may make the heart grow fonder, or help you realize that you don’t need them after all. One piece in, one piece out. Once you decide on what items will be in your capsule wardrobe, it does not have to be a permanent decision. It is a game of trial and error, especially with your first capsule wardrobe. If you find that a piece is not working with the rest of the collection, swap it out. However, if you add a new piece, you must also remove one. If possible, try to limit swapping items to 3 times or fewer within one season. Once, you’re near the end of the 3 months/first season, reflect on what worked and what didn’t work. 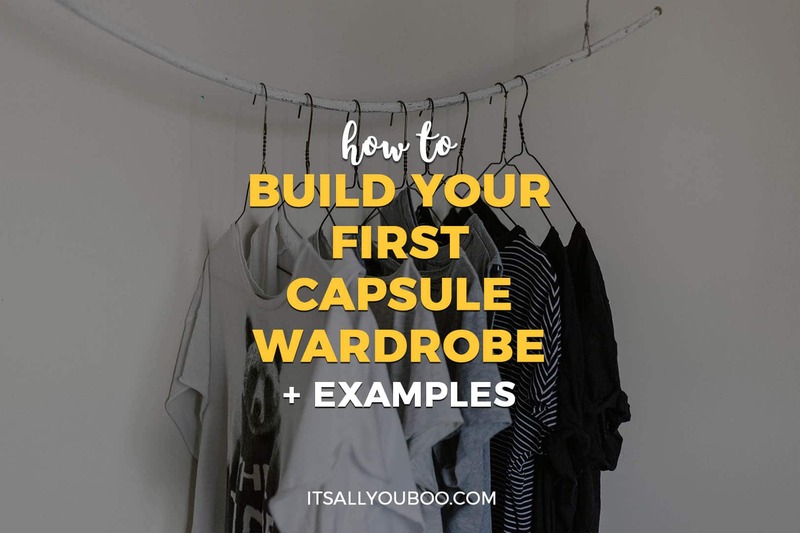 If it’s your first capsule wardrobe, there were likely difficulties and mistakes made along the way. You won’t get it exactly right the first time. Learn from your experience and use this information towards adjusting your capsule wardrobe for the next season. What do you wish you had included? What do you wish you had left out? Did you wear a certain item less frequently than you originally thought you would? Were there any gaps you noticed that needed filling? What will you switch out for next season? This is the time to go shopping and fill in any gaps or replace what didn’t work. Make a list of practical items you need to buy in order to have a complete capsule wardrobe if any. These should only be base articles of clothing that you do not currently own or do not fit you properly. Now, when you go shopping, you will have a plan and purpose in mind. You will be less likely to make impulse purchases and more likely to spend your money wisely. A capsule wardrobe should not change your sense of style or make you feel less fashionable in any way. 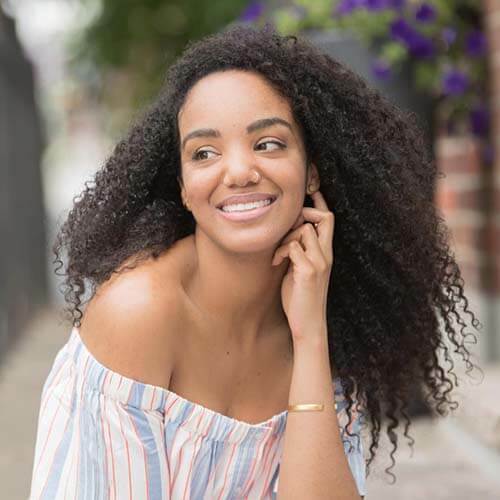 Enjoy the ease of getting dressed faster, having an organized closet, and loving what you’re wearing each and every day. Live a carefree life with less stuff weighing you down both physically and mentally. Make it your goal to conquer your closet and change what you don’t like about your current wardrobe situation. 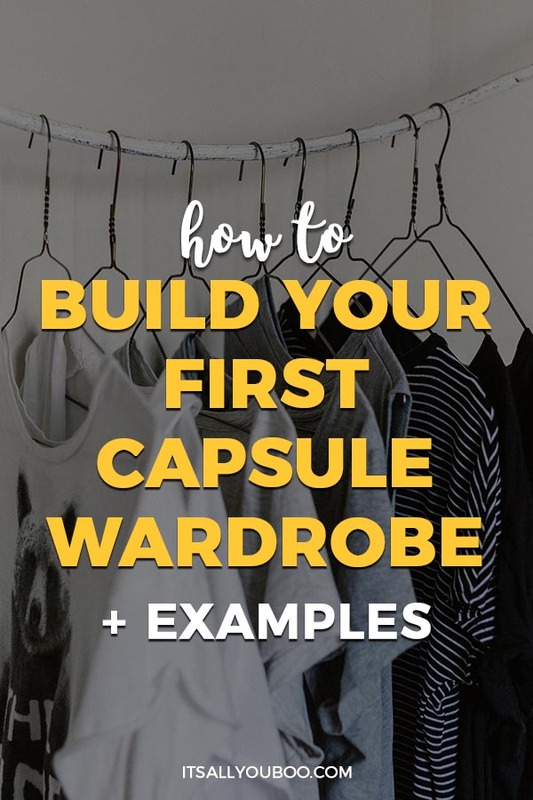 Are you ready to build a capsule wardrobe? Hello, I’m Nicole Limpert, the creator of Limpert in Leopard. I am a fashion obsessed, seamstress by day – fearless, fashion designer by night. I earned my bachelor’s degree in fashion design and merchandising in 2015. 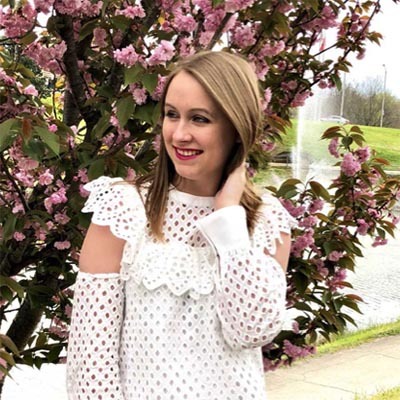 Limpert in Leopard is a blog that was created as a platform to share my passion for fashion and a knack for sewing with the world. With this blog, my mission is to help women find their personal style and feel confident in everything they wear. I know I have way too many clothes so I’ve thought about doing this. But I have always been into statement pieces that don’t go with everything, so it’s really hard! I do at least try to get rid of things I didn’t wear/don’t fit at the end of every season. I can completely relate with that about the statement pieces. It’s so hard to learn to shop for versatile things. I’ve been thinking of doing a huge de-clutter of all my clothes. I seem to hang on to everything but it is just getting frustrating trying to find something to wear (especially when I have so much!). I think giving myself fewer choices would help! I always forget what I have too! Hopefully fewer options will help! I’ve not heard of the term capsule wardrobe, but I have watched several minimalist shows so I am familiar with the concept. I have donated many of my seldom worn items to thrift stores. I need to thin out my closet a bit more. It’s exactly the same idea! It’s great to only have clothes you truly wear! I have heard of this a few times now. I just cannot imagine not having all my stuff! I know it is so bad — I wish I could simplify my life to make things easier, but I am not sure this is the way I am going to do it! I can totally understand that you’re hesitant. As a fashion lover, I was at first too. I found that I didn’t actually miss of the stuff that I thought I would. I love the thought of this, however my clothes is a hoarder’s paradise. However, I just recently got a cube shelf for the tiny bedroom I have, because it’s easier on space than a dresser. I’ve never really heard of a capsule wardrobe, however I need to purge throughout my clothes. My closet was the same way! Having fewer options and more space is always helpful! Capsule wardrobes are an essential for day to day! I think it’s a great idea to see the current items that a person has and they find the pieces that are missing and needed. Thank you for sharing this! I couldn’t agree more! I’m so glad that you liked it. I totally love this idea. I probably have a bit of a capsule wardrobe based on what I primarily wear everyday already but the idea of one in and one out is so appealing. Plus the quick guidelines make shopping so much easier. Thanks! It’s so much easier than you think when you’re already aware of what your go-to items are! I love the idea of a capsule wardrobe, it’d make getting ready in the morning so much faster. My problem is finding “neutral” basics simply because I don’t like neutral colours! I prefer to wear bright pinks, pastel blues, earthy greens…. but they can be so hard to mix and match! Finding neutrals are one of hardest parts! I love wearing fun colors too and always hated shopping for “boring” items, like you do. If you want a quick trick, I like to tell myself that for every colorful item I buy, I must buy at least one neutral. It helps get you in the mindset of shopping for neutrals… even when you don’t necessarily want to! Plus, you still get to indulge in your fun style a little bit! For the first time in my adult life, I just cleaned out my closet. I think I got rid of approx. 33% of my closet and it feels SO good. Some of the pieces have not been touched in a DECADE! Congrats! That’s such an awesome accomplishment! To be honest, if you look at it, this is equally useful for all genders. I do follow some of these pointers already in my lifestyle but surely did learn a bit more tricks so bring it on! You must have done a lot of research and thinking for this one, thank you for your hard work and sharing this with us all. It certainly is applicable for all genders- anyone who loves clothes! Thank you so much for pointing this out and I’m glad you found it so helpful. I’ve always loved the capsule wardrobe concept! I created my first last November and it was a total game-changer! That’s amazing to hear! Keep it up! This was an insightful post to read! Recently, I have embarked on what I have dubbed “Operation Minimalism.” I have made a conscious effort to get rid of clutter and keep only what I absolutely need. I am bookmarking your post for future reference! I strongly believe that minimalism is the future. Thank you for your kind words and way to go with getting rid of the clutter! I agree with all the tips mentioned here. Having a capsule wardrobe is a smart way to go. Thanks, I’m glad you found it helpful! This is such a great idea! You’re so right we only wear our favorite pieces of clothing, I really need to do this! I have one too much clothing for my liking! Thank you, I’m glad you found it useful! We hardly wear half of what’s hanging in our closets. Best of luck with tackling yours! I love capsules! Especially now with my new postpartum bod 😉 no need to buy a bunch of clothes while I’m between sizes! That’s such a great point! Capsules are so great for new life stages. Congrats on your new baby! There’s a YouTuber that I follow called The Anna Edit who does a capsule wardrobe and she makes videos for every season. It always has me thinking about giving it a go, but honestly, I love clothes shopping way too much to limit myself. Thanks, I will have to check out her videos! I used to think the same way, but I’ve found that having fewer options that I loved to wear all the time, worked out better in the long run for me. Best of luck! My interest in a capsule wardrobe isn’t because I have too many clothes. It’s because nothing goes together! I need it so that I have clothes that work together! That’s such a good point! It definitely encourages you to shop smarter and buy things that work well with many other items. Best of luck creating your perfect wardrobe! Now that I’ve gotten a bit older, I find myself moving towards creating a capsule wardrobe & only buying specific neutral pieces, avoiding trendy things & patterns. You shared such great tips, thanks! Thank you so much! I’m glad you found them helpful. Great article. I had heard of capsule wardrobes but did not know what it all entailed. This gives me some great tips on where to start. Looks like I will be cleaning out my closet soon! Thank you! Good luck with tackling your closet! You’ll be glad you did. I usually wear similar clothes to work and it makes things so much easier. I realize that I have to clear my closet of clothing that I hardly wear at all. That for the great tips! It really does make it simpler! Thank you, best of luck with tackling your wardrobe! What great tips! I really need to take the time to create a capsule wardrobe. Thank you so much! Good luck! Hi Nadalie, nice blog! I too have so many clothes so I thought about doing this. Well your idea is good I will try it once. Thanks for sharing. Thanks so much, so glad you’ve enjoyed the post. Give it a try! I can attest that having fewer options just makes life easier. And everything you keep you love so no more closet guilt from buying and keeping all this stuff you don’t even wear.